You choose the meaning behind this I’m Pregnant, Oh Deer Holiday Exclamation, but I can only imagine it to be joyous. At least as joyous as the Reindeer rendition of the “O” in “Oh.” This is more Holiday fun via T-Stand merchandising at the Motherhood Maternity retail chain. 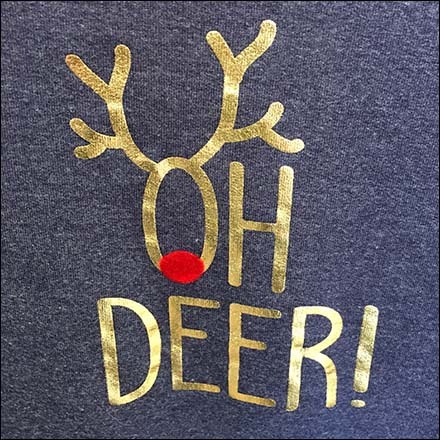 Consider this I’m Pregnant, Oh Deer Holiday Exclamation in the gallery of images. Seen at The Shoppes at Montage Mountain, Music PA.